DUNBAR ~ Marion T. Dunbar was born July 26, 1930 to Solomon, Sr. and Alberta in Williston, South Carolina where he attended Williston High School. He moved to Jacksonville, Florida as a young man; he later met and married Gloria Dean and this union was blessed with four children. 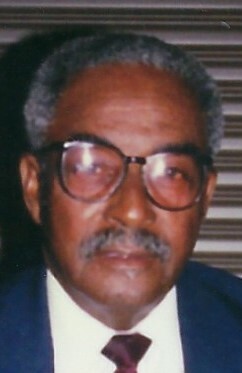 Marion was a member of Second Missionary Baptist Church for more than fifty years. He was preceded in death by his parents, son, James David Dunbar; daughter, Rita Arlene Martin; two brothers and one sister. Marion was employed at Western Terminal Warehouse, FMC where he retired in 1998; he was later employed at Everbank Field and Prime Osborne where he tenured fifteen years of employment, retiring from both in 2013. He was a member of King Solomon Masonic Lodge #255. He leaves to cherish his memory son, Joseph Dunbar, Sr.; daughters, Jacquelyn D. Sumlin & Regina Bell (Roderick); step sons, Ronald & Rodney Jenkins; three grandchildren; six great-grandchildren; three step grandchildren; four step great-grandchildren; five brothers; two sisters; many close and sorrowing friends, including Charles Sutton and Charles Small.